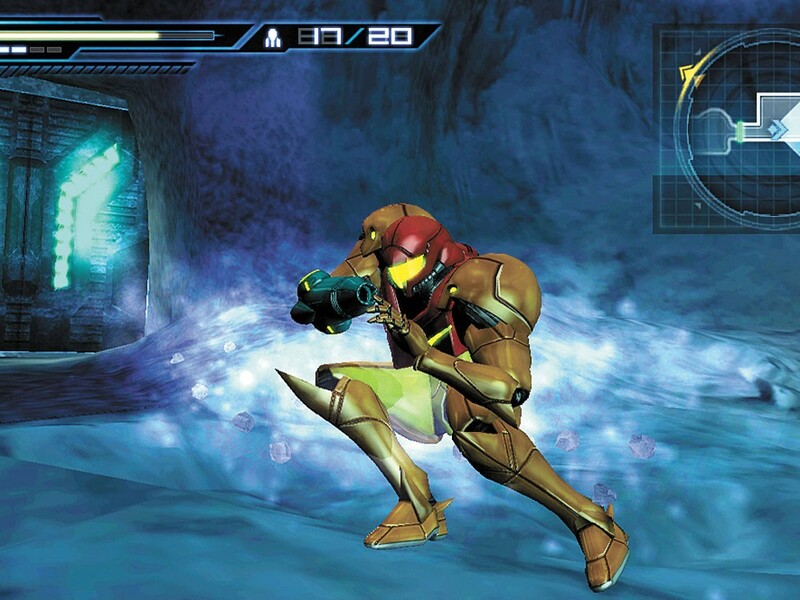 During the movie that opens Metroid: Other M, Samus Aran, the bounty hunter star of the franchise, is revealed stretched out in the same aqua blue bodysuit in which she ended the original Metroid. Now, however, she wears high heels and hauls quite a caboose. Maybe it balances the linebacker shoulders her suit of armor has developed. Or maybe the designers of Other M thought it would captivate gamers as they watched Samus sashay through the game’s cutscenes. I’m not particularly interested in viewing animated digital movies, especially when they’re rendered on the Wii with a fidelity that has already been surpassed by the PSP. But Other M is full of lengthy interludes that intrude on the action, demoting me from participant to spectator. Not only do I not want to sit back and watch a Metroid game, I don’t really want to know anything about Samus. Let her stay a cipher — a blank onto which I can load my own heroic psyche. Samus was once one of the galaxy’s greatest videogame heroes, capable of shooting all around her two-dimensional, side-scrolling universe. She blasted her way up and down some of videogaming’s first vertical levels. And she morphed into a ball and rolled through tunnels, planting bombs along the way. A few years ago, she graduated from two dimensions into three, and the Metroid universe took on the logistics of a first-person shooter without losing any of the series’ third-person puzzles and ingenuity. But the Wii doesn’t do first-person perspective very well, since it lacks dual thumbsticks to move both the character’s position and view. So when I want to see out of Samus’ battle visor in Other M, I must point the Wii remote at the TV screen, aiming at whatever I can see from wherever I stand. I’m capable of turning my head but not moving my body. Moving Samus requires the Wii remote to be turned horizontally, whereupon she is seen from a third-person viewpoint pattering through narrow pathways that confine her like a cart on a carnival ride. The Wii takes over the targeting, aiming at whatever foe Samus seems to be facing. That works OK when Samus shoots enemies in front of her. But when she backtracks, she often ends up crashing into enemies that weren’t visible offscreen beneath the floating camera. It’s a first/third-person hybrid that gives me no perspective on the game. THE GOOD: The Metroid franchise really hasn’t found a way to use the Wii’s odd amalgam of technology except for the inclusion of the original game in the system’s Virtual Console, where it can be downloaded for $5 and played using only the four-way directional pad and two buttons — no controller-flipping required. THE BAD: The fact that no game has yet taken full advantage of the Wii’s unique technology reveals the console’s innovation to be, at best, a failed experiment or, at worst, a gimmick. Sure, the Wii has introduced a whole new audience to videogaming. But I’m not sure it’s a wise idea to leave them wondering what that white box beneath their TV has ever actually done well. THE BOTTOM LINE: In Other M, the once-mighty Metroid morphs into a bomb.